Sunday – 11:00 a.m. to 5 p.m.
* Grill open from 10:00 a.m. to 4:00 p.m. Check out the new offerings in the Plaza Café. 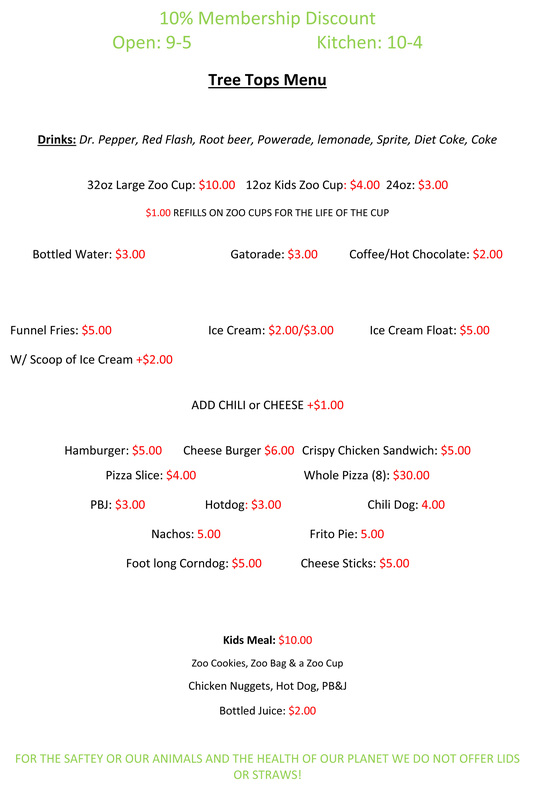 Click on the photo to see the full menu. You can also schedule a group lunch through our Café by calling 254-750-8432. Friday- Sunday – 10:00 a.m. (11:00 on Sunday) to 4 p.m. Check out the new offerings in the Treetops Café. 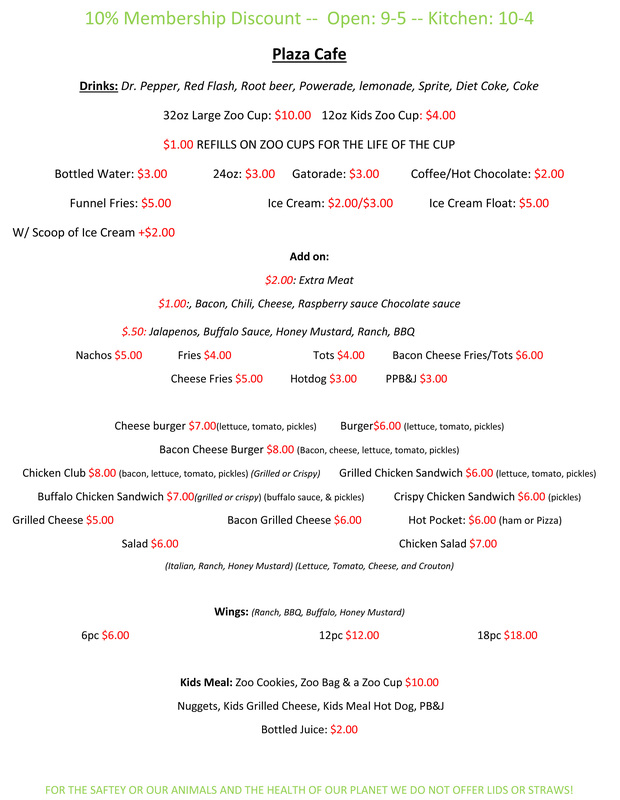 Click on the photo to see the full menu. Are you interested in scheduling a group meal? Fill out our Group Meal Request Form and submit it to HollyS@wacotx.gov.